Matsuo Basho (1644-1694), recognized as the greatest master of haiku, was likely referring to Cryptomeria japonica, Japanese cedar. 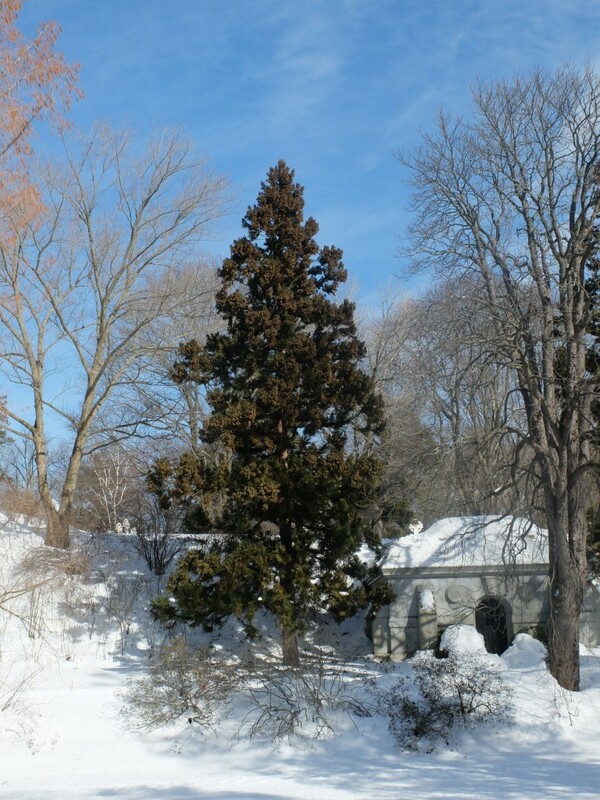 Unrelated to true cedars (Cedrus), Cryptomeria is an evergreen conifer that frequently grows into a 50-60-foot-tall, graceful, stately, and handsome tree. Its ¼-3/4-inch-long, awl-shaped, needles are often curving inwards towards the stem. 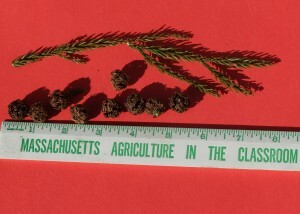 The ½-1-inch globular cones are made of 20-30 scales which each are distinctly toothed. 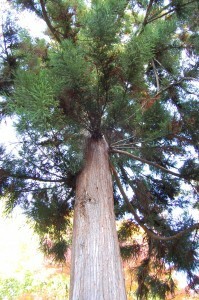 Cryptomeria is the national tree of Japan. 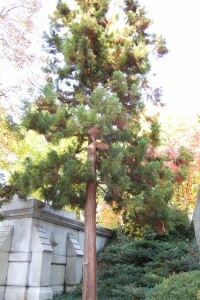 Within Japan, there often is a reverence towards these trees, perhaps analogous to how people view giant sequoias (Sequoiadendron giganteum) in the United States. In southern Japan, on Yakushima Island, there is an aged forest growing these trees that in 1993 was declared one of UNESCO’s World Heritage Sites. There, some Cryptomeria are publicly claimed to be 7200 years old, although respected dendrochronologists find no evidence of that folklore-like age. However, Cryptomeria with ages of 1400 to 1700-years-old, have been documented from tree ring counts from stumps at Yakushima, so ages of 2000 years, and over are believed to be possible. Although strongly associated with Japan, Cryptomeria also is native to eastern China, and it was from there that Robert Fortune (1812-1880), plant collector for the Horticultural Society of London, sent the first recorded Cryptomeria seeds to England in 1844. 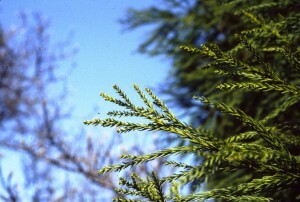 Fortune also sent the first known seeds of Cryptomeria to the United States in 1858. Both continents from those times on have been adding this beautiful conifer to enhance countless landscapes. On your next visit to Mount Auburn, look for two of our outstanding specimens on Oxalis Path at Auburn Lake. View another fine Cryptomeria on Garden Avenue, near our administration building, as well as a few more Cryptomeria found throughout our landscape.